Includes factory installed MILSPEC Lower Parts Kit (LPK), MILSPEC stock kit, standard carbine buffer, buffer spacer, and B5 BRAVO Stock Body — Ready to pin to your upper and shoot! 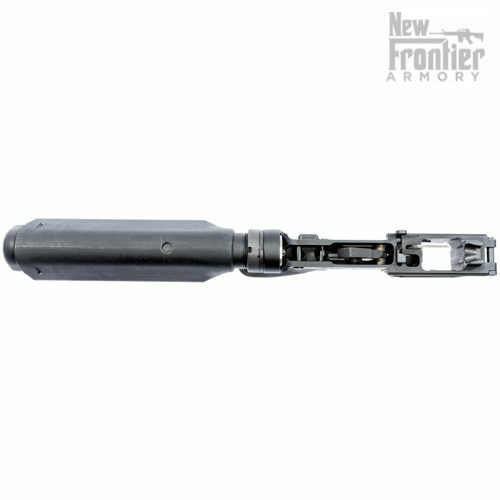 You must use an upper that has widening cuts to accept the larger width MP5 Magazines — We sell three versions of C-5 Uppers that can be found HERE. ETS magazines may require slight sanding to ensure proper fitment due to variations from factory H&K Magazines. 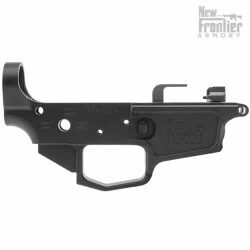 We have yet to find any fitment issues with HK, Zenith, or KCI mags. ANSWER: The lower was designed to fit and drop free factory MP5 9mm magazines. 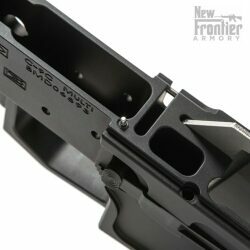 It has also been thoroughly tested with many aftermarket magazines to fit and drop free. 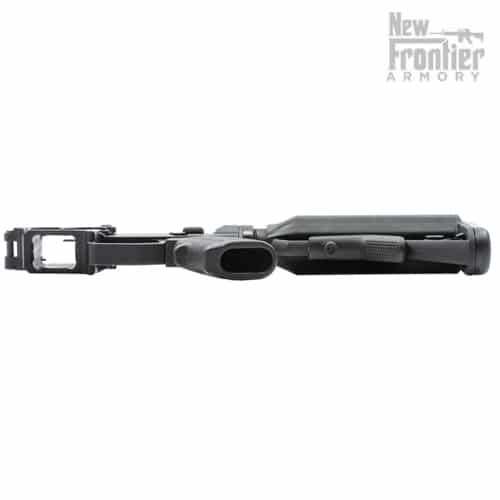 Although it accepts and shoots other aftermarket magazines some slight modification may be needed to get them to drop free from this lower because of the varying width measurement we have seen when checking these magazines to H&K MP5 factory specifications. ANSWER: NO, like the original MP5 platform, there is no LRBHO function. You must use either our C-5 Slick Side Upper or our C-5 Non-Reciprocating Side Charging upper as they are widened to accept the MP5 magazines. 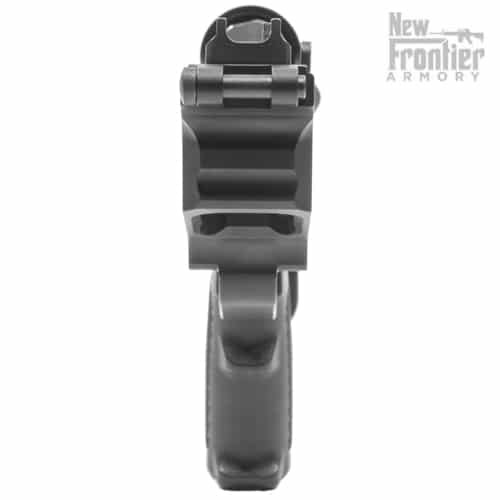 Other manufacturers make uppers cut for MP5 mags as well, but we can’t guarantee their compatibility at this time. 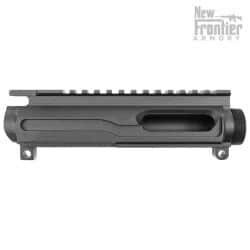 QUESTION: What bolt carrier group will work with a MP5 magazine fed AR-9? 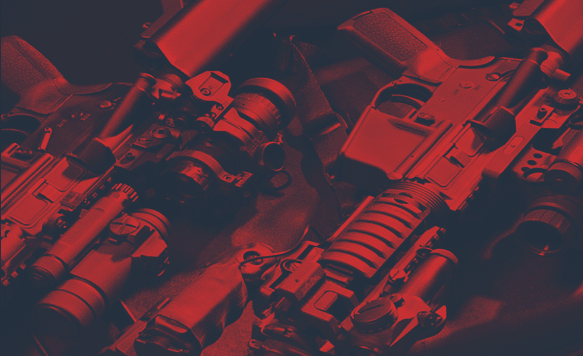 ANSWER: Both AR-9 BCG’s that we sell (CLICK HERE for AR-9 BCG’s) will work in both MP5 Mage AR-9’s as well as traditional Colt style AR-9’s and Glock Mag AR-9’s. 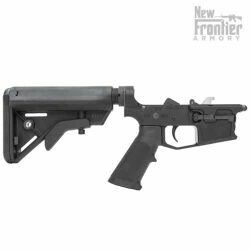 ANSWER: Although we sell a specific LPK with just the parts needed to build the C-5 lower receiver HERE, any standard AR-15 LPK will work. 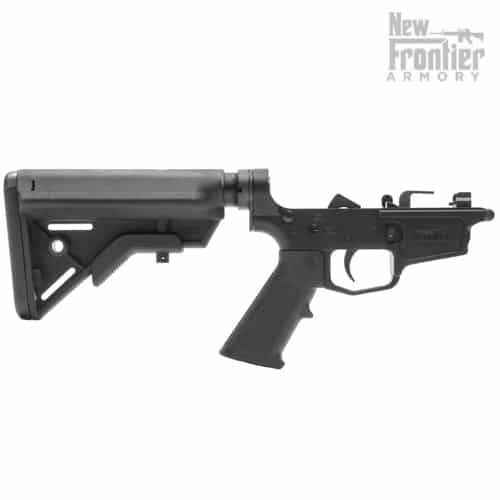 You will not need the magazine catch assembly, bolt catch roll pin, or trigger guard that are normally included with standard LPKs. 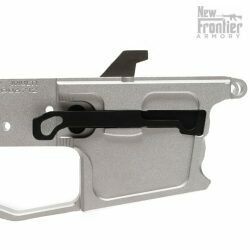 The New Frontier Armory C-5 Stripped Billet AR-9 lower receiver is proudly MADE IN THE USA by hard-working American men and women. It's not registered as anything. It will transfer to your dealer as a "receiver". 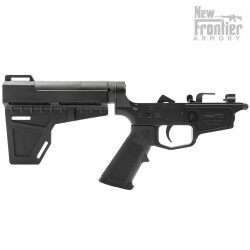 Nothing becomes a pistol or a rifle until it is able to fire as a complete firearm designed by the mfg to fire from the shoulder or as a pistol. 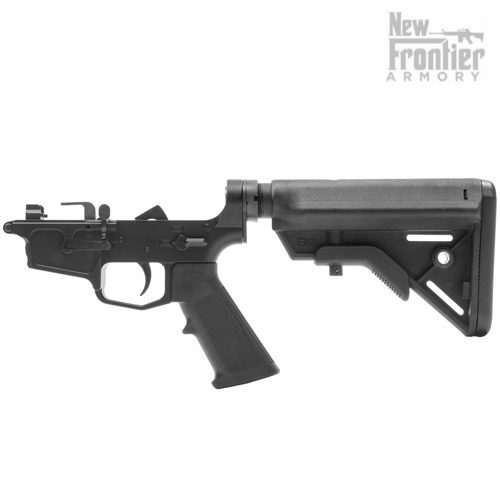 Complete lowers are only "receivers" regardless if they have a stock or a pistol tube under federal law and ATF regulations.